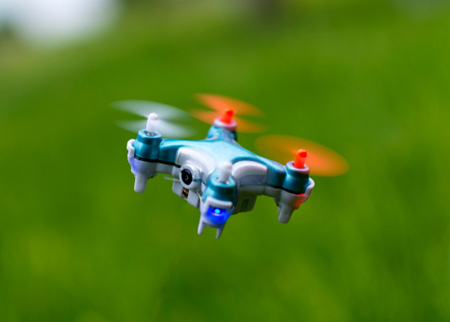 A Florida appeals court has tossed a petition for a stalking injunction against a lawyer who allegedly told his opposing counsel he was using drones to watch her during a campaign of litigation harassment. Florida’s Third District Court of Appeal said the allegations primarily involve conduct not covered by the stalking law, and the issues are best addressed by legal ethics rules. The Daily Business Review and WPLG-Local10 have coverage. The Aug. 1 opinion covered “incendiary claims by both sides,” according to the Daily Business Review. Brandy Raulerson, a Miami associate with the Barnard Law Offices, had claimed her opposing counsel in several insurance lawsuits, Jose Font, began harassing her in January 2016 after she rejected “his crude sexual advances,” according to the opinion. Font, who defends insurance companies, is the managing partner of the Fort Lauderdale firm Font & Nelson. Raulerson represents homeowners and others with insurance claims. According to Raulerson, Font asked another lawyer from Raulerson’s law office during a deposition if he was having a sexual relationship with her. She overheard the remark. According to Raulerson, Font made the comment because of an “obvious intent” to himself have sexual relations with Raulerson. Later, Font allegedly told Raulerson he was having her watched by remote drones. But the alleged harassment went further than that. Raulerson accused Font of threatening to get her fired and her law license revoked, filing a false affidavit, subpoenaing her to appear at trials even when she was not involved, and becoming “unhinged” after her firm obtained a judgment of more than $8,300 against him for discovery abuses. The affidavit, signed by a former client of the Barnard Law Offices, alleged the firm staged insurance claims and split fees with nonlawyers. The law firm says the allegations have no basis in fact. Raulerson says the harassment caused “extreme mental anguish” including hives, vomiting and sleeplessness. Because of the anxiety, Raulerson says, she obtained a concealed weapons permit. Font’s motion to dismiss the injunction was 422 pages in length, while the motion in opposition filed by Raulerson’s law firm was 174 pages in length. The appeals court said repeated electronic subpoenas, even if frivolous, don’t constitute cyberstalking within the meaning of the stalking statute. Many of Raulerson’s allegations involve “dilatory practices by a lawyer in litigation,” the court said. “Culling from these allegations the remaining wrongful acts that might be actionable under the stalking statutes, we are left with grossly inappropriate sexual comments; undated ‘inappropriate suggestions such as “you can call me on my cell phone at night to discuss this case”;’ and a statement by Mr. Font to Ms. Raulerson that ‘he was having her watched by means of a remote drones [sic],’ with no information regarding the date or actual observation by any drone. The Florida Bar told the Daily Business Review that is has no open investigation of either Raulerson or Font.